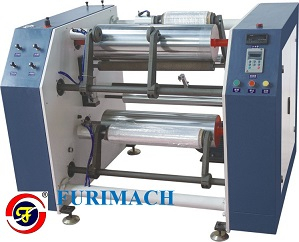 Suitable for slitting and rewinding stretch film, cling film, aluminum plating film, paper, etc. Max. unwind diameter 400mm I.D. of rewind core 2"/3"